John’s Grille | Canton, Ohio | dreaming of the next bite. A long-standing establishment serving All-American bar food classics, for breakfast, lunch and dinner is John’s Grille on Cleveland Avenue, not too far from downtown Canton. While the interior of the restaurant appears that it hasn’t been updated since circa 1970, it still has that certain something. When you walk in, you feel comfortable, people are smiling, welcoming, friendly, and you want to stay. Not to mention the fact that on a Friday night, it’s wall-to-wall crowded, both bar and restaurant side. The bar kid of reminds me of the set of cheers – dark, heavy finishes and big wood furniture. But still, everyone is happy to be there. And so am I. 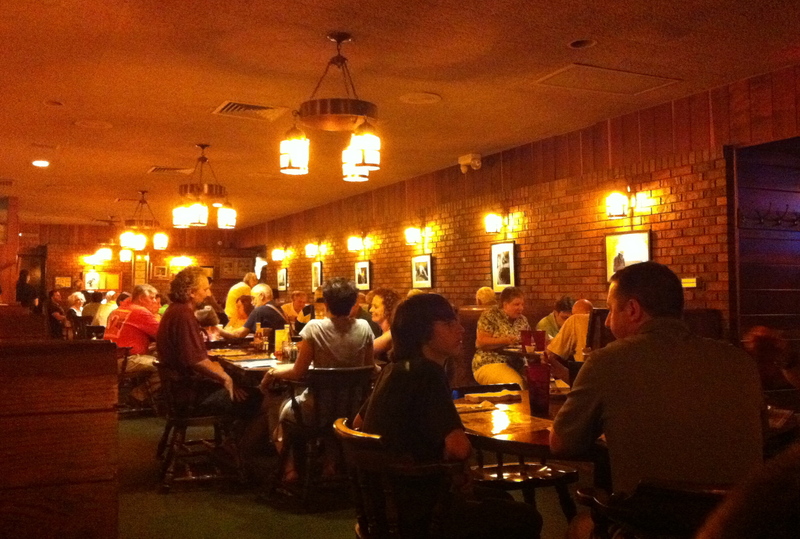 The menu is filled with traditional midwest bar fare: lots of burgers, sandwiches, fried everything, wings, etc. Their dinner menu surprisingly does have some seafood items including salmon, grouper (uncommon here in OH), and orange roughy. They also have other standards for the area like chicken marsala, baby back ribs, and a variety of steaks. So nothing particularly interesting or exceptional about the menu, but here’s the thing: it’s all done well and I’ve never heard a complaint about the place. Everytime I’ve gone, I’ve ordered a sandwich, because it seems to be their specialty – and they have a list of paninis that are absolutely delicious. I’ve had the tuna panini and the reuben panini. The only thing that seems to differ from your typical reuben and the reuben panini is that they press the bread, but it really does make it better. The process basically flattens out the bread, so your ingredients are pressed tight together, making it compact and easy to eat. I usually get the side of sweet potato fries – as you’ve probably noticed I have a bit of a sweet tooth, and the cinnamon sweet buttery dipper for the fries hits the spot nicely. Dave had the fried fish filet (haddock I believe) and it was very tasty. It had a nice hearty crunch to the breading with mild flakey white fish inside. So if you’re in Canton looking for a great, local, affordably-priced restaurant, that’s been around since 1945, check out John’s. You can’t go wrong, and I hear the breakfast is amazing too. 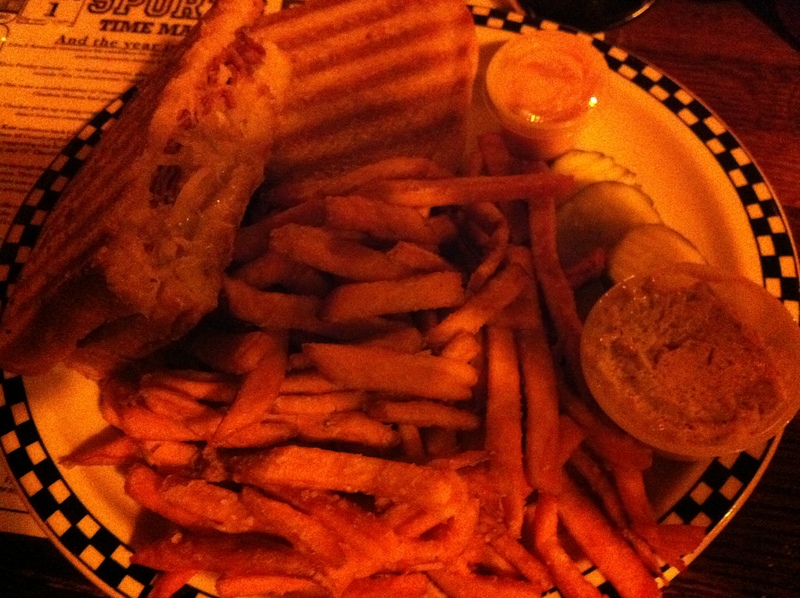 This entry was posted in Canton, OH and tagged American, bar food, burger, one-and-only by Yvette (@foodiedreamer). Bookmark the permalink. circa 1945 puts me just about in the belly of the whale, oh the memories 🙂 must try on birthday, fish of course, thanks! 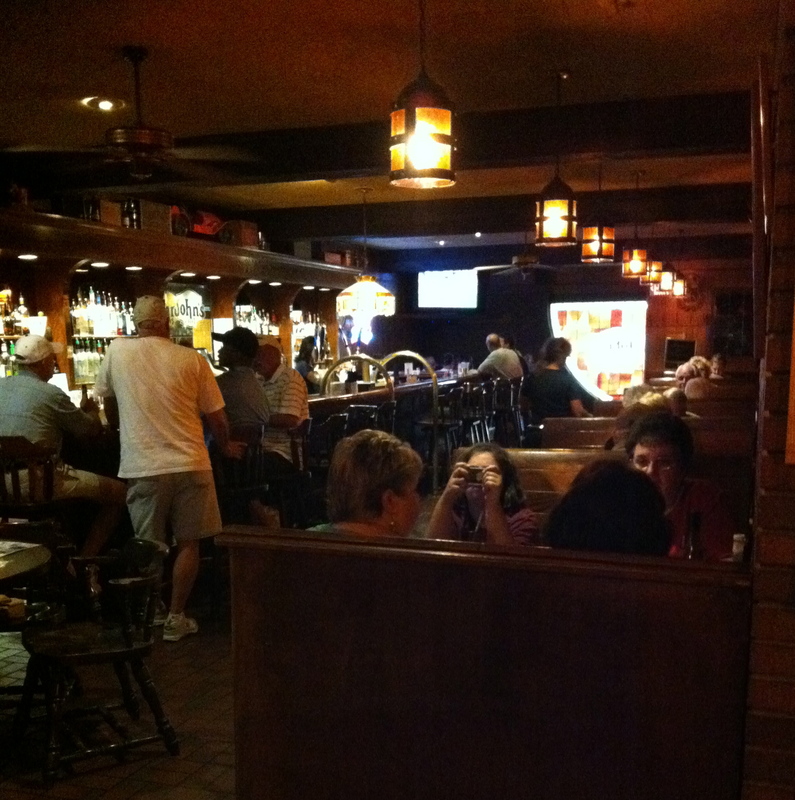 Pingback: Ido Bar & Grille | Akron, Ohio | dreaming of the next bite.